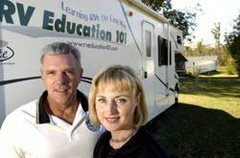 Over the years we have owned five RV’s. 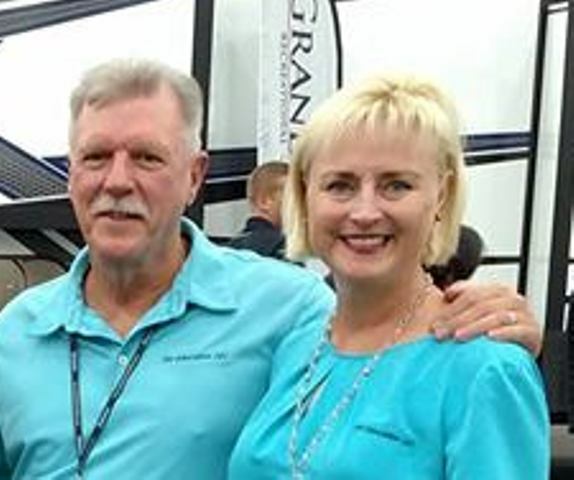 First there was a small pop up, then a travel trailer, then a bigger travel trailer, a Type C motorhome and currently our Type A motorhome. I have always owned and driven a truck that is capable of towing a good size trailer. I don’t tow trailers as much as I used to, but just the nature of my business requires that I have a truck that can tow a trailer. During a routine inspection of my truck I noticed the sidewalls of the tires had some cracking caused by too much exposure to the sun, and that the tread was just about down to the tread wear indicators. These were the original Michelin tires that came on the truck when it was new, and with over 65,000 miles on them I really can’t complain about replacing the tires. When you are replacing the tires on a truck used for towing or hauling heavy loads an important consideration is the load range or rating of the tires. 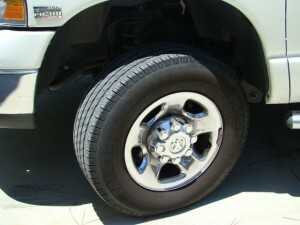 For light truck tires the load range lets you know the strength of the tire and the tires ability to hold air pressure. When I was growing up tire manufacturers referred to how many plies the tire had (the number of layers) to determine the load rating of the tire. The higher the ply rating the stronger the tire was and the more air pressure it could hold to support a heavier load. Nowadays they use an alphabetical rating to specify the load range of a light truck tire. The tire load ranges today don’t actually count the number of plies or layers in the tire, but the strength of the tire is comparable to the older ply ratings used years ago. An easy way to compare today’s tire load ranges to the old ply rating system is to take the alphabetical load range designation of the tire and determine what number it is in the alphabet. For example if it is a D load range tire D is the fourth letter in the alphabet. Now multiply that by 2, so a D load range tire is equivalent in strength to an 8 ply tire. I have E load range tires, equivalent to a 10 ply tire, on my truck. The other important consideration is that the tires are inflated properly for the load they are carrying. I personally like and use Michelin tires on my vehicles. I did some preliminary research on the Internet to see if there were any current sales for the type and size tires that were on my truck. Michelin was offering a $70.00 discount when you purchase four tires. I went to Sam’s Club to get the tires, but was told they were not in stock. The Sam’s Club employee told me they could order the tires and have them there in about three days. I decided to try Sears first to see if the tires were in stock. The tire representative at Sears said they had the tires, but I noticed they were several dollars more than the price per tire that I got at Sam’s Club. I was told they would price match so I proceeded to ask about the $70.00 Michelin discount. The sales rep asked his manager and he agreed to give me the discount. When the sales rep totaled the sale it came to over $200 more than the Sam’s Club total figure for the same tires. I asked him how there could be that much difference for tires that are priced the same. When I looked at the printout I noticed it included a front end alignment and a road hazard insurance plan along with the new tires. I told the rep I wasn’t interested in a road hazard tire plan, and that there was nothing wrong with the front end alignment on my truck. He said the only way they would sell and warrant the tires was if they included the front end alignment. At this point I was a bit irate and told him to drop the tire alignment and road hazard plan and give me a new price. Then he said the $70 Michelin discount was based on the original price I was quoted and I would not get the discount on a new price quote. Needless to say I left and will probably never return to Sears, at least not to purchase tires. When I returned home I found the same tires online and ended up saving about $20 per tire, after the shipping charges. When the tires get here I just need to have them mounted and balanced and I’ll be good to go for another 65,000 miles. I always like to support our local economy, but when you have to deal with tires not in stock and higher prices for services you don’t want and/or need I will take my business elsewhere. Keep in mind when you purchase tires for a truck that will be towing or hauling heavy loads you need to get tires that are rated for the load you will be hauling and properly inflate the tires for the load. If you doubt what the tire sales rep is telling you check the tire manufacturer load & inflation tables before purchasing the tires. If you question the price of the tires leave! You can always find them somewhere else at a fair price.